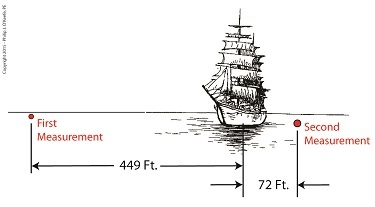 We’ve been working on a way to calculate the distance to a tree situated blocks from our viewing point. Flying raptors, such as our beloved bald eagle, wouldn’t find this in the least bit challenging. 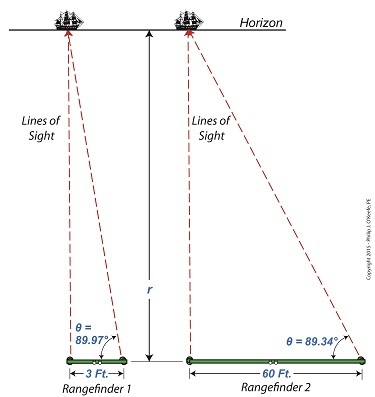 They’re able to accurately judge distances due to their special shape-shifting eye lenses which are capable of actually changing curvature spontaneously. But human physiology isn’t equipped for this task, so we’ll have to employ other methods. 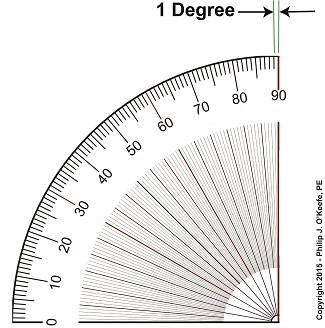 Today we’ll see how a branch of mathematics known as trigonometry comes into play. 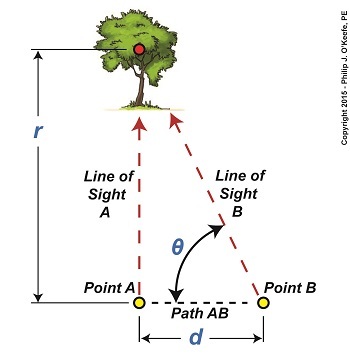 where d is the length of Path AB, θ is the angle between Line of Sight B and Path AB, and tan(θ) is the trigonometric function known as the tangent. 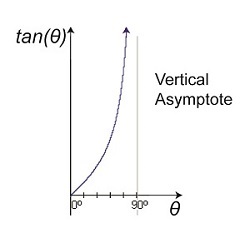 Tangent, and other trigonometric functions like sine and cosine, relate the angles in a right triangle to the ratios of the lengths of the sides of the triangle. 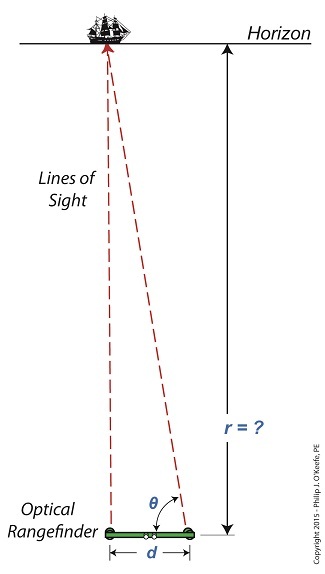 If we know two of the variables present in the equation presented above, we can determine the third, and the fact that there’s a right triangle present makes that task so much easier. 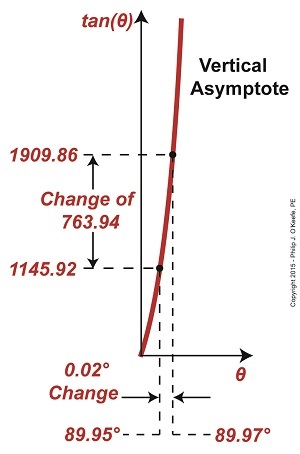 As things stand now we have two unknowns, d and θ. 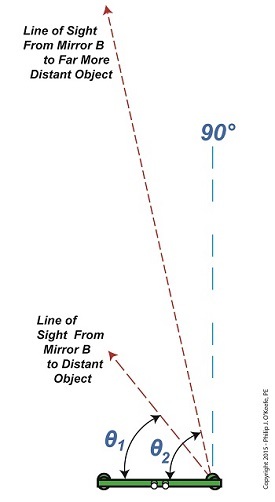 As pointed out last week, the distance, d, is short, so we’ll use a tape measure to determine its length. Let’s say it measures out to be three feet. 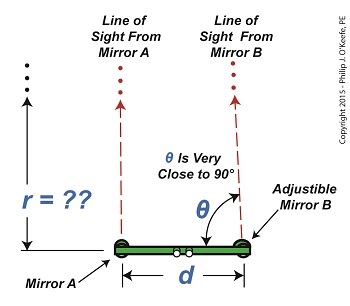 Now we need to solve for the angle θ that’s formed between Path AB and Line of Sight B. That’s a bit more challenging. 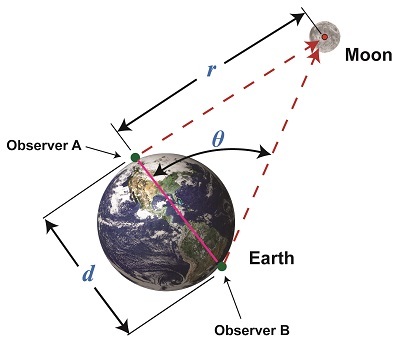 There are a number of devices that can be used to measure θ, including a handheld magnetic compass. 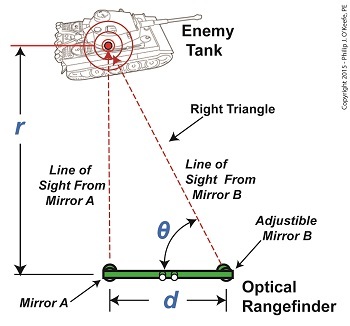 However, using a compass often yields inaccurate results, thereby increasing the likelihood of mistakes. 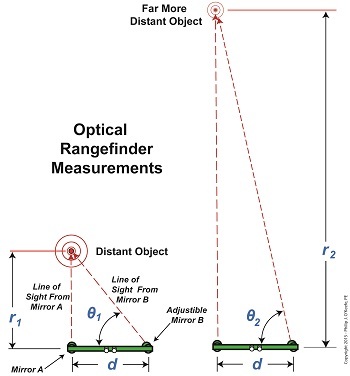 A more accurate device to use would be an optical rangefinder, as shown below. 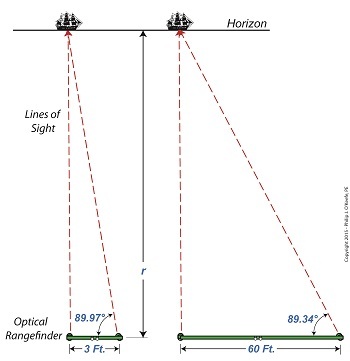 The optical rangefinder is a device that’s often used in the military to measure long distances by using the principle of parallax. 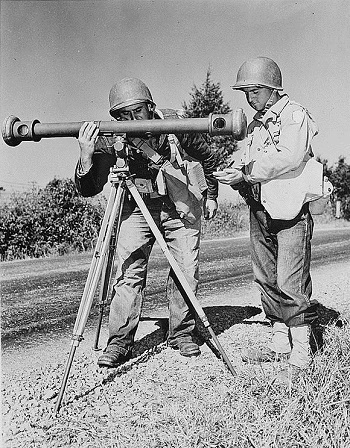 It functions much like binoculars do, but with a twist, literally, as we’ll see next time.